Putting light energy into tissue can be very complex. As the light travels through the tissue, some of the energy is absorbed. Some of the energy is reflected and then bounces out of the tissue and some energy is reflected and then absorbed in areas not directly in the path of the laser. 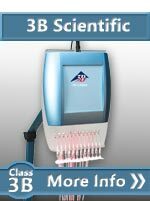 The goal of cold laser therapy is to get the optimum amount of energy absorption in a target area while limiting the absorption of energy into other non-productive areas. Cold lasers come in a wide variety of wavelengths and each wavelength has different absorption/reflection properties. Also different types of tissue have different absorption/reflection properties and people have a wide range of ailments that require different types of therapy. Some therapy requires the use of a focused pinpoint of energy targeting a trigger point. This is the perfect application because lasers are focused, collimated beams of light. 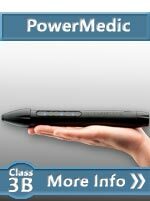 In this case, the energy requirement is very low and high power levels can be a big disadvantage because of the risk of damaging the tissue. Other therapies require broad coverage of large muscles or joints. In this case, large amounts of power are required and relying on getting the optimum amount of energy in the target area can be a challenge. There are also variations in the output of a laser over time. Laser diodes are slowly destroying themselves because of the high energy levels near their core. Over time their output drops. 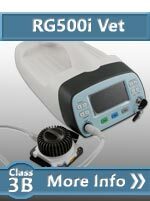 Higher end products offset this issue by performing routine calibrations or by performing automated self-calibrations. With all this variation, how does it work? 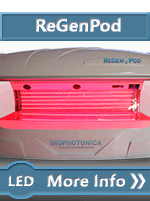 One of the great advantages of cold laser therapy is that there is no wrong amount of energy. Low level laser help but the just don't do enough. As you get into more midrange dosage, you see stronger results. 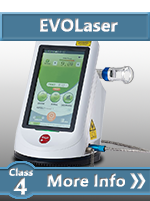 We have all heard about the great results with a class 4 laser so which one is the best? They are actually all doing the right thing but at different levels. The light interaction curve for cold laser therapy is like a ramp and plateau with the most efficiency at the point where all the cells have been activated. Low level laser are just leaving some benefit on the table. If you go past the optimum point, you are simply wasting your time because the cell cannot do any more. 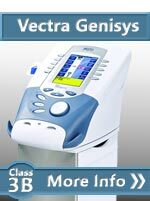 Some class 4 lasers recommend dosage up to 30,000 joules just to make sure you get past the optimum inflection point but you might be wasting your time if you put that level of energy into a treatment area. The key to getting the optimum energy is a pre-defined protocol or guideline. 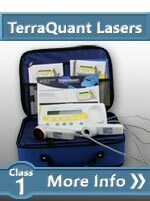 Products like the TerraQuant series come with pictorial protocols that include the optimum treatment location, time and frequency as part of the specifications. Multiradiance protocols also include a long-term treatment plan with the total number of sessions and frequency of treatment. Their products ship with the most common protocols on a quick reference card and a detailed protocol manual so users can start using the product like a pro the first day. Thor takes their protocols to the next level. 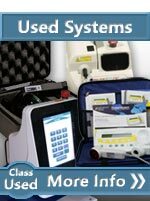 They have an online library with hundreds of protocols. Many of the protocols are based on actual testing using a cadaver. They inserted a photo sensor into the deep tissue and then used a calibrated emitter to get the exact photon density for each condition. Aspen make is more convenient by having touchscreen access to an internal database that can be searched by anatomy, condition, and chronicity. 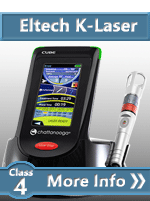 Some manufacturers also have webinars (interactive web based training) where laser owners can talk to someone with years of experience so they can learn how to go outside of the pre-defined protocols. 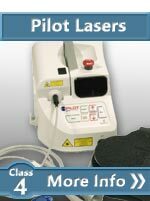 There are also international protocol manuals for those who want to stretch the limitations of their cold lasers. Several manufacturers, like Apollo and Avant, use guidelines versus a full cookbook. 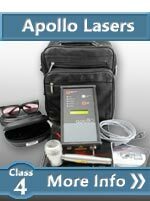 Since these products are mainly used by hands-on professionals, the laser is just another hands-on tool that allow doctors use with their intuition about how to help their patients the best. Apollo recommends approximately 100 joules/cm^2 for long term benefits and 200-300 joules/cm^2 for maximum pain control. Users simply watch the display to see the total power accumulation and then turn it off when they reach the desired level. It is so simple and flexible. 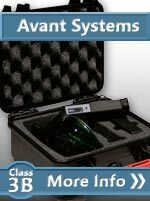 The Avant comes with a dozen pre-programmed protocols but they also show power accumulation on the display so users can just stop when they reach their target density. If you are comfortable with guidelines, they are faster and more flexible than relying on a sometimes limiting set of cookbook recipes. When it comes to selecting a system, make sure you will get access to guidelines or protocols for the conditions that you intent to treat. 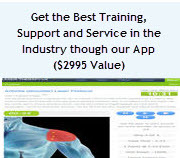 Guidelines are faster and more flexible for trained professional who are comfortable using their experience to find the optimum treatment and cookbooks are best best for those who will be mainly working within defined areas.